We are enlisted amongst the prime Driving Pulley Manufacturers and Exporters from India. The array of the Belt Driven Pulley includes head pulley, tail pulley and bend pulley meeting the requirements of the application. The Automatic Driving Pulley is extensive used for the transmitting the power. The different power carrying capacities has divided the Driving Pulley into three categories i.e. light duty, medium duty and heavy duty. The axle and the hub are connected by the single key. And itâ��s single plate welding. The axle is unidirectional out. The axle and the hub are connected by the ring lock. The axle and the hub are connected by the ring lock. The shell body is aluminothermic welding fabric. The axle can be unidirectional and two-way out. The surface treatment of the driving pulley can be smooth steel, herringbone or rhombic rubber lagging. 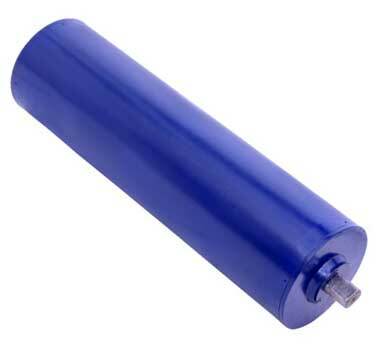 The smooth steel pulley is available for the place which environment is small power, small belt width and dry. The herringbone rubber lagging has a big friction factor, better anti-slippery and drainage ability, but it has its own direction. The rhombic rubber lagging is available for two-way operating conveyors. The vulcanized rubber lagged pulley are mostly used for important applications.